SeaWorld's troubles persist as evidenced by its fourth quarter earnings released Thursday. Attendance and revenue continued to drop, and SeaWorld suffered a net loss of $25.4 million for the last quarter of 2014. And it's been another very lousy week for SeaWorld. A beluga whale died after a fight in a tank and SeaWorld Orlando was forced to announce the end of a controversial program that allowed visitors to feed dolphins by hand unsupervised. And none of the new numbers give the troubled company reason to hope for a turnaround. SeaWorld's revenue in Q4 was $264.5 million - a decrease of $7.4 million, or 3 percent, compared to the same period in 2013. Total revenue for 2014 was down 6 percent from 2013. Attendance also took a hit - down by 2.2 percent compared to the fourth quarter of 2013. The Q4 results continue a downward slide for the company. The 2013 documentary "Blackfish" revealed a disturbing track record regarding trainer safety and the care of orca whales. The film also kicked off a spate of backlash against the company, including the introduction of legislation in New York, California and Washington to ban orca captivity. In 2014, the company's stock (SEAS) fell by 50 percent. After the California orca captivity ban was introduced in March, SeaWorld's stock fell by 7 percent. What followed were a series of all-time lows: It plunged a whopping 33 percent after poor third quarter earnings in August, and dipped below $16 per share for the first time in December. That dip came after frustrated investors filed a class-action lawsuit alleging that SeaWorld hadn't fully divulged the impact that "Blackfish" had taken on its revenue. While stocks plummet, corporate partners are taking note. Companies like Southwest Airlines, Virgin America, Hyundai, Taco Bell and Panama Jack have all cut ties with SeaWorld in the past year. Amid the backlash, SeaWorld's CEO Jim Atchison stepped down in December. The company has not yet named a new CEO. Interim CEO David D'Alessandro told investors during a call Thursday morning that the company is even planning a "truth about SeaWorld" marketing campaign to improve its tarnished reputation. He also argued that the company has been able to handle bad publicity all the way back to "the 'Free Willy' days." Despite all of the negative publicity, SeaWorld has refused to accept that consumers don't want to see orca whales in tanks anymore. It has dodged pleas to end the whale breeding program and retire the whales to seaside sanctuaries, while also pledging to build new marine parks in the Middle East, where there is less awareness about the plight of whales in captivity. 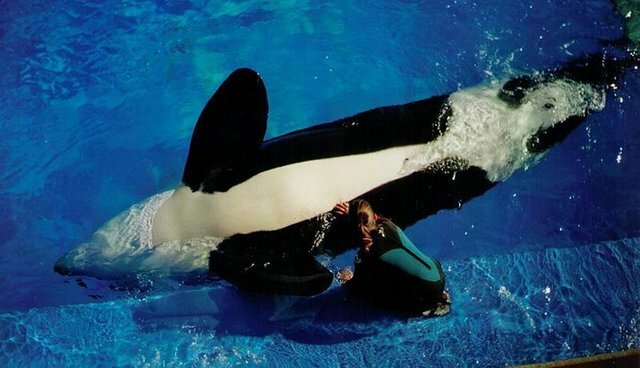 But until SeaWorld reverses course, listens to consumers and releases its orcas to the wild or a sea pen, it appears increasingly likely that the company's struggles will continue.